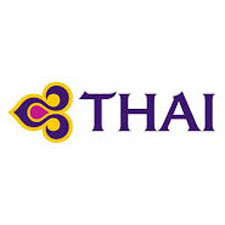 Thai Airways International Public Company Limited is the national carrier of the Kingdom of Thailand. It operates domestic, regional and intercontinental flights radiating from its home base in Bangkok to key destinations around the world and within Thailand. Our Vision is to be First Choice Carrier, with Touches of Thai. Our airline is modern, innovative and progressive, yet celebrates everything which makes Thailand unique – its culture, traditions and, above all, the warm hospitality the kingdom and its people extend to global travellers. Thai Airways International is committed to providing the highest level of service at all customer touch points, making each journey as smooth as silk.